Pursuant to Panamanian law, all types of property and property rights, including tenancy, may be subjected to a security interest. Chattels, real estate, vessels, titles, receivables, rights, shares, quotas, bank accounts, negotiable instruments, usufruct, proceeds, antichresis and contractual obligations can be used as collateral. Additionally, the entire assets of a project company or sponsor may be secured through a general pledge of assets. Certain licences and concessions granted by the government may be assigned or pledged depending on the type of licence, permit or concession; as long as the licensing authority consents to the assignment or pledge. The assignment of licences and concessions requires the assignee to meet the same criteria as the assignor. However, some concessions and licences, such as water use concessions, may not be assigned under any circumstances. Requirements and formalities necessary to perfect a security interest depend on the type of collateral. Pursuant to Panamanian law a pledge is perfected once the secured property or title is delivered to the lender, to an agent appointed by the debtor and the project lender. The date of the pledge shall be evidenced in a public deed or notarised document. Similarly, a pledge must meet the same formalities met by the main loan agreement. A description of the requirements and formalities applicable to various forms of collateral follows below. Collateral over real estate and vessels must take the form of a notarised public deed signed by the parties involved. The mortgage is perfected once the public deed is registered at the Public Registry. Applicable Public Registry fees are US$3 for each US$1,000 worth of the value of the real estate; and US$2.50 for every US$1,000 of the value of the mortgage over the vessel. Collateral over chattels with a value of more than US$20,000 must take the form of a notarised public deed signed by the parties involved. The public deed must then be registered at the Public Registry. Applicable Public Registry fees are US$1 for each US$1,000 for assets with a value lower than US$20,000. For assets with a value above US$20,000, the applicable fees are US$42 for the first US$20,000 of the value of the pledged assets and US$30 for every US$10,000, or fraction thereof, of the total value of the pledged assets. Collateral over chattels worth less than US$20,000 must follow the requirements and formalities of the pledge, discussed below, and must comply with the same formalities as that of the main agreement. A pledge of securities and titles requires the endorsement and delivery of the title to the project lender, to an agent appointed by the debtor and the project lender, or to a trustee appointed to hold title on behalf of the project lender. With respect to shares or quotas issued by a company, in addition to the delivery of the share certificate the pledge should be recorded in the register of members. The assignment of receivables must take the form of an assignment agreement, and must be perfected by notifying the debtors of the assignment of such receivables. A lender will rank senior in right of payment to the extent of the collateral and up to the value of such collateral. In cases with more than one creditor, the oldest pledge will have priority over the remaining pledges and will exclude the remaining pledges in the case of execution. In addition to the registration fees listed above and payable to the Public Registry for the registration of a pledge over certain assets, there are no other charges or taxes imposed on, or by virtue of, the execution or delivery of the collateral in Panama. However, a stamp tax at the rate of US$0.10 for each US$100 of the face value of the corresponding obligations may be levied in the event that a loan or security agreement is submitted before any court or administrative authority in Panama. A corporate entity or trust may hold collateral on behalf of the project lenders as the secured party. Trustee companies must be licensed by the Panamanian Bank Superintendency. Corporate entities may also hold collateral and in such capacity become responsible for the proper conservation of the pledged assets. Trustees are required to maintain their own assets separate from assets transferred to them in trust. In the event a trustee is declared bankrupt, all assets assigned in trust will be excluded from the bankruptcy. A parallel debt clause that requires the debtor to make equal and concurrent payments to the lender and to a security trustee, creating a direct claim of the security trustee against the debtor, would be recognised under Panamanian law. In the case of real estate, chattels or any property title that is filed with the Public Registry or any other registry office, the absence of prior liens may be confirmed through a search or through a certificate issued by the Public Registry or the correspondent registry office. Shares or quotas may be checked by reviewing the register of members, or by requesting the secretary of the company to certify that the shares are not under any type of lien. Other types of assets should be checked by including proper representations in the agreements to be subscribed. Depending on the type of assets and guarantees, secured lenders may enforce their rights within or without the court system. Judicial enforcement to claim real estate mortgaged collateral requires the lender to file a foreclosure action, usually in civil court. The same course of action is applicable in the case that the lender holds a general pledge of assets, which will normally encompass personal and real estate property. Non-judicial enforcement is available also in certain circumstances. Collateral secured through a pledge or mortgage of chattel may be foreclosed without the need to access the court system. However, so the lender may privately foreclose, the security agreement must establish the method of fairly appraising the value of the assets in US dollars. If the agreement does not include a valuation method, the parties to the agreement must appoint three experts who will have to agree on the value of the pledged assets. The lenders are not restricted from taking part in foreclosure sales and acquiring the pledged assets. The ability of a project lender to enforce its rights as a secured party is not affected in a bankruptcy proceeding because Panamanian bankruptcy law recognises and upholds the priority a secured lender has over the collateral. In the event a project company becomes insolvent and is driven to bankruptcy by its creditors, secured lenders will still collect with priority over any bankruptcy creditor from collateral mortgaged or pledged to the lender by the project company. If the secured assets are not enough to repay the obligation those assets were meant to secure, the unsecured portion of the claim will be ranked with all other unsecured bankruptcy creditors. Bankruptcy provisions rank unsecured creditors at the end of the collection line, after tax liabilities; legal expenses of the bankruptcy; and employees’ claims. However, a bankruptcy judge has the authority to review any debtor transactions and transfers taking place up to four years prior to the declaration of bankruptcy. Should the bankruptcy judge consider that the debtor was in a state of bankruptcy during any portion of the preceding four years, the bankruptcy judge may void any transactions or transfers of property occurring within those four years. Governmental institutions are excluded from bankruptcy regulation and proceedings. As a general rule, individuals and companies are subject to the bankruptcy and reorganisation general regulations. However, Panama has enacted legislation providing for special administrative intervention, reorganisation and liquidation proceedings for the following business sectors. Liquidations of these entities are governed by sector-specific legislation, and are overseen by the Superintendent of Banks. Liquidations of these entities are governed respectively and separately by insurance, reinsurance and captive insurance legislation, and are supervised by the Superintendent of Insurance and Reinsurance. Liquidations of these entities are governed by sector-specific legislation and are overseen by the Panama Co-op Institute. Bankruptcy proceedings for these entities are governed by special legislation, and overseen by the Superintendency of the Securities Market. All requests to seize the assets of a company must be filed before a civil court with competent jurisdiction. Government assets and property are not subject to attachment or seizure. Foreign and local creditors, in general, have the same rights in a bankruptcy proceeding. However, if so decided by the bankruptcy judge, foreign creditors may be granted an additional term to file and verify their credits. There are no restrictions, controls, fees, or taxes in connection to foreign currency exchange. However, the value paid in foreign currency must be equal to the fair appraisal value of the asset discussed in the preceding section. The US dollar has been the currency of legal tender in Panama since 1904. There are no restrictions or controls on remittances of investment returns or loan payments to parties in other jurisdictions. However, certain taxes may apply. The Panamanian tax system is based on a territoriality principle. Consequently, income tax is levied on net income derived from operations taking place within the territorial boundaries of the Republic of Panama. Income received from foreign sources is not subject to taxes in Panama. The Panamanian tax code provides that interests, commissions, other charges over foreign loans, and any other type of financing arrangement are subject to withholding at the corporate income tax rate of 25 per cent over 50 per cent of the total payment of interest, commissions or other charges, namely, 12.5 per cent of the total payment to the foreign creditor. The 12.5 per cent rate must be withheld by the local borrowing entity, regardless of the type of financing arrangement in place with the foreign creditor. Hence, the foreign creditor is not liable for any further income or any other tax payment or tax return with respect to said interest payments. Financing arrangements with Panama-based creditors are not subject to withholding. Payments to local creditors are considered and must be treated as local source income by local creditors, and are subject to the full income tax rate of 25 per cent. Local creditors must report all interest and commission income for the calendar year, with their income tax return that is due before 31 March of the following year. Remittances on investment returns are taxed with a 10 per cent dividend withholding. Said withholding is applicable to any shareholders of Panamanian companies that have obtained a business licence or operation permit in Panama, and that have issued registered shares. The dividend withholding tax rate for foreign or exempt income is 5 per cent. If there are no distributions or if distributions are less than 40 per cent of net earnings on a fiscal year, retained earnings will be subject to a complementary tax of 10 per cent over the difference between the amount distributed and the total net earnings. If the applicable dividend tax rate is 5 per cent, any distribution lower than 20 per cent of net earnings will trigger the 10 per cent complementary tax. Panamanian companies are exempted from paying dividend taxes, over any income deriving from a dividend payment, provided that the company declaring such dividends has already withheld and paid the applicable dividend withholding. Since 2009, Panama has subscribed to and ratified double tax treaties with Mexico, Barbados, Spain, South Korea, Qatar, Luxembourg, Portugal, Singapore, the Netherlands, Italy, France, the Czech Republic, Ireland, United Arab Emirates , Vietnam, United Kingdom and Israel. Dividend tax withholding and withholding tax related to interest, commissions and other charges over foreign loans in those double tax treaties are as described below. Vietnam: 5 per cent if the beneficial owner owns a minimum of 50 per cent of the capital of the company paying the dividends, 7 per cent whenever a beneficial owner owns a minimum of 25 per cent but less than 50 per cent of the capital of the company paying the dividends, or 12.5 per cent for all other ownership scenarios. Israel: 15 per cent. However, no interest withholding tax shall apply whenever interests are derived from corporate bonds traded on a stock exchange in the country where the payment originates and issued by a company resident in that country, as well as interests paid to pension schemes, governmental institutions, or paid by governmental institutions. Project companies are not forced to repatriate foreign earnings and there are no restrictions on the use of foreign earnings. Project companies may indeed maintain foreign currency accounts in other jurisdictions. The law does not impose restrictions on foreign currency bank accounts; rather, it depends on the policies of each individual bank. Certain local banks allow their clients to maintain local bank accounts in euros. There are no special restrictions, fees, or taxes on foreign investment in, or ownership of, a project company or its related companies. The Panamanian Constitution provides for the equal treatment of foreign and local investors. However, the Constitution also creates two exceptions. Pursuant to these exceptions foreign investors may not own property located within 10 kilometres of the country’s borders; in islands considered strategic areas that are reserved for governmental programmes; or in islands that are not declared areas of special development and regulated by special laws; or participate in retail business activities. There are no bilateral investment treaties in force exempting the application of those restrictions on a particular nationality. Hence, no special registration requirements apply to foreign investors. Under Panamanian law, all local risks must be insured by insurance companies licensed by the Insurance and Reinsurance Superintendency of Panama. However, insurance companies licensed elsewhere may issue policies to cover local or Panamanian risks, provided that licensed Panamanian insurance companies do not provide coverage for such risks, and that such policy or coverage is previously authorised by the Insurance and Reinsurance Superintendency of Panama. Cut-through clauses are not effective under Panamanian law. Panamanian law does not have limitations for local insurance policies to be payable to a foreign secured creditor. Foreign workers must obtain an immigration visa from the National Immigration Department and a work permit that is issued by the Ministry of Labour. Labour law allows the foreign workforce and payroll of a local or foreign company doing business in Panama to consist of up to 10 per cent of the local or Panamanian workforce and payroll. In the case of trusted and skilled workers or technicians, the foreign worker allowance is increased to 15 per cent of the local or Panamanian workforce and payroll. However, Panama has enacted legislation that affords unlimited temporary visas and work permits to the foreign workforce and payroll of companies licensed or established pursuant to special legislation designed to promote foreign investment in Panama. The Multinational Corporate Seat Law (MCS Law) allows companies that are licensed under the statute to obtain immigrant visas and work permits free of thresholds or quotas. The MCS Law also creates a simplified process to obtain such visas and permits. Likewise, the Panama-Pacific Special Economic Area Law creates a simplified process for obtaining visas and work permits. Project companies located in special economic and trading areas, such as the Colón Free Trade Zone or Export Processing Zones can also hire foreign workers under special immigration and labour regulations. There are no restrictions to import project equipment. However, Panama’s tax legislation imposes import duties and a kind of value added tax, domestically known as ITBMS, on equipment imports. Tariffs for imports into Panama are fixed by cabinet decrees issued by the executive branch. Panama is a member of the World Trade Organization, so tariffs must comply with WTO standards. In the case of equipment imports, ITBMS is assessed at the rate of 7 per cent of the CIF value of the equipment, plus customs duties and charges at the applicable rates for the particular equipment imports. If the CIF value cannot be determined, the tax code provides for an import assessment of FOB value plus 15 per cent. According to the Panamanian Constitution the government can expropriate private property for public or social interest purposes, in exchange for proper compensation. The Code of Civil Procedure requires the executive branch of government to commence a civil court proceeding immediately after issuing the resolution to expropriate private property. Said proceeding is designed to fix proper compensation through a valuation of the expropriated property by three experts appointed by each party and the court, and to enable creditors holding security interests in the expropriated property to pursue payment of their credits. Panama’s Civil Procedure Code also provides for swift expropriation in the case of war and serious public or social unrest, as well as for the development of projects of urgent public and social interest. In such cases, court proceedings to appraise the assets and fix proper compensation must be completed in a shorter period. There are no forms of investment protected from expropriation. However, Panamanian law does require the government to provide fair compensation. Under Panamanian law, taxes apply equally to foreign or local investors. As outlined in question 7, Panama’s tax system is based on a territoriality principle. Consequently, income tax in Panama is assessed over any income produced in Panama by any person or corporation, regardless of their citizenship, residence or domicile; in connection with any activity or operation executed within Panamanian territory, irrespective of foreign contacts. Instead of assigning incentives on a foreign or local investment dichotomy, the benefit or incentive criteria are developed taking into account investment areas, and in some cases the amount of investment as well. Among the areas where Panama has in place special investment or tax benefits are tourism, agriculture, agroforestry, mining, hydrocarbon storage and distribution free zones, telecommunications, residential and commercial construction projects, port and railway development, and energy generation, whereby investors are guaranteed tax and legal stability from the time they register with the Ministry of Commerce for up to 10 years. In addition, there are special tax treatments for energy generation, reforestation, construction, tourist development and others. Considering the general principles mentioned above, there are no special taxes applicable to foreign investors. However, the following are the taxes applicable to loan or security agreements. Interest, commission, and other charges over foreign loans or any other type of financing arrangement are subject to withholding at the corporate income tax rate of 25 per cent of 50 per cent of the total payment of interest, commissions or other charges, namely, 12.5 per cent of the total payment to the foreign creditor. Financing arrangements with locally based creditors are not subject to any withholding. Payments to local creditors are considered and must be treated as local source income by local creditors, and are subject to the full income tax rate. See question 7 for further details on the tax treatment of interest, commission loan payments and remittances on investment returns. Stamp tax is paid at the rate of US$0.10 for each US$100 of the face value of the corresponding obligations, and may be levied if a loan or security agreement has been submitted to any court or administrative authority in Panama. Project sectors are primarily regulated and supervised by central government authorities. Municipal authorities have specific regulatory and supervisory roles as well, usually connected to property use. Projects in the areas of energy, oil, gas, minerals, natural resources in general, ports, telecommunications and transport require special licences, concessions or permits to operate. Further, extant environmental legislation requires the environmental authority, or the Executive Branch in certain cases, to review and authorise virtually all types of new project activity or development. the Mining Resources Department, Ministry of Commerce and Industry: responsible for authorising, supervising and controlling the use of mining resources in conjunction with the NEM. From 1968 to the second half of the 1990s, state companies had full control and ownership of all assets involved in generation, transmission and distribution of energy, port development and operations, telecommunication systems and services, and gaming. The state also owned and operated the only railway, crossing the isthmus and connecting Panama City with the northern port city of Colón. From 1995 to 1998, Panama enacted legislation to sell state-owned assets, allow private ownership and private control of extant assets, and grant concessions in these business sectors; regulate each market sector; and allow further private investment and competition in each of these sectors. However, asset privatisation was partial in the areas of electricity generation and distribution, and telecommunications. In these areas the state decided to retain partial and non-controlling ownership of companies organised to hold former state-owned assets. Collection and distribution of clean water and transmission of energy are fully controlled by the state. The Waste Management Authority (WMA) is in charge of collecting and managing waste nationwide. However, the WMA currently only controls the collecting and managing of waste in the municipality of Panama City. The WMA may grant concessions to private companies in connection with collection and management of waste. Recently, the government has been keen to encourage the development of new ports, port operations, mass transport infrastructure, roads in rural areas and power generation projects. According to Panama’s Constitution, all natural resources are the property of the government. Territorial seawaters, rivers, beaches, public lands, underground resources, underground waters, oilfields, and quarries, are owned by the government. The Constitution grants ownership over the land and natural resources located in Indian reservations that are created by law, to the respective Indian communities. Nevertheless, the government may grant licences and concessions to local or foreign private parties to use or exploit natural resources. Special regulations apply to concessions over underground mineral resources, forests, water and soil. Generally, before the licence or concession may be awarded, Panamanian law will require the preparation of an environmental impact study. This study must be completed and approved by the NEM. Permits and concessions to use and exploit certain natural resources are granted in connection with a specific location and are generally for a provisional term. Water concessions, however, may be permanent. The concessionaire is generally authorised to exploit and use the natural resource within the terms of the concession, provided it complies with the applicable environmental regulations and pays the applicable concession fee. Concessions for the use of natural resources located in Indian reservations must have, in addition to the governmental authorisations, the approval of the Indian authorities of the area. Concession fees and royalties are fixed based on the volume or amounts of resources that are extracted. Concessions for the exploitation and transport of minerals are subject to a fee calculated per hectare and a royalty that ranges from 4 to 6 per cent depending on the type of mineral. Fees over water concessions are based on the amount of water to be used, taking into account the manner in that the water will be used (ie, industrial use, energy generation, etc). Concession fees for log or lumber extraction are set taking into consideration the amount and types of trees involved. In addition to specific concession fees and charges, concessionaires are responsible for income tax and all other taxes applicable pursuant to tax regulations. Fees, royalties and taxes apply equally to local or foreign investors. In general, there are no restrictions, fees or taxes on the export of natural resources. However, Panama prohibits the exportation of logs, lumber or timber, unless the wood is processed and transformed into a semi-finished or finished product. Submerged logs must also comply with specific transformation proceedings. In addition, transport of logs, lumber or timber is subject to authorisation by the National Environmental Authority and to the payment of applicable fees. Certain maritime species, such as shrimp, are also subject to fishing season restrictions and special permits for their exploitation and exportation. Under Panamanian law, project finance transactions generally do not need governmental approvals, except in the case of a transaction involving a governmental concession or regulated activity. Therefore, no fees or charges related to such approvals apply. Financing documents do not need to be registered with any government authority, except for mortgages on certain assets and certain filings or governmental authorisations to perfect some types of collateral (see also question 2). However, in the event that project documents should be submitted to any administrative authority or Panamanian court, the project documents must be translated into Spanish by a licensed Panamanian translator, and if the documents have been executed outside Panama, the signatures on the documents should be authenticated by a diplomatic or consular officer of the government of Panama in the jurisdiction of execution or pursuant to the 1961 Hague Convention on the legalisation of documents (apostille). the dispute submitted to arbitration deals with matters that cannot be resolved through arbitration pursuant to Panamanian law, such as consumer, criminal, or domestic law disputes. Panama is a member of the ICSID Convention and the New York Convention of 1958. 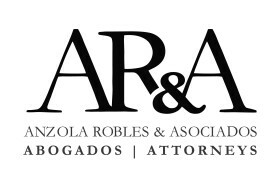 There are no disputes under Panamanian law that would be subject to automatic domestic arbitration. Under Panamanian law, and as a general rule, parties are free to select the law of their choice in all commercial transactions, as long as such selection is not made with the intention to avoid the application of another law. Foreign financial agreements involving Panamanian projects are frequently governed by the laws of New York State or other jurisdictions commonly used and favoured for international financial transactions. Whenever assets that are mortgaged, pledged or held as security are located in Panama, Panamanian law should govern. a copy of the final judgment is translated into Spanish by a licensed translator. environmental: Law No. 41 of 1998, as amended, created the NEM and sets environmental policies, principles and guidelines for the entire country. The NEM is responsible for ensuring compliance and enforcement of environmental rules and requirements for all project sectors. The principal business structures that project companies use are corporations. However, other corporate structures such as limited liability companies are also popular, particularly with foreign investors residing in countries that provide preferential tax treatment to such corporate structures. The principal sources of financing for project companies are commercial loans or syndicated loans from local or international banks. Multilateral financial institutions are also a common source of financing. Although less frequently, the local and international capital markets are also used. The Constitution allows the government to promote the creation of PPPs to solve social, security and public interest needs. In the case of public utility PPPs, the Constitution also requires that the majority of the capital be Panamanian, except where legislation expressly provides otherwise. Panama does not currently have comprehensive PPP legislation. The absence of comprehensive PPP legislation has not hindered the development of PPPs. For more than a decade, the central government has developed PPPs by taking advantage of legislation governing direct equity investments or concession arrangements. In 1995 and 1996, as a consequence of an effort to develop competition and private sector investment in the telecommunications sector, Panama enacted legislation to create a telecommunications PPP between the central government and a private investor. In 1997 Panama adopted additional legislation to privatise and develop competition in the electricity sector. Another PPP was formed between the central government and private investors that were selected to invest in four generation (three hydroelectric and one thermoelectric) and three distribution companies. The aforementioned 1997 legislation also privatised the ports of Balboa and Cristobal, located in the cities of Panama and Colón, respectively. The central government selected its private investment partner. Private investment partners in each sector were all selected through separate competitive biddings. The state separated and contributed the respective sector assets to each of the new companies. In the case of the telecommunications PPP, the state and private investors each retained a 49 per cent equity ownership, with the private investor retaining operational control of the company. The employees retained 2 per cent of the equity ownership. The same equity arrangement prevailed with respect to the three hydroelectric generation companies. In the case of the three distribution companies, as well as the thermoelectric generation company, the central government awarded a 51 per cent equity ownership in each company to the respective private investors. A notable exception was the PPP in the ports of Balboa and Cristobal, where the central government retained a 10 per cent equity ownership. All of these PPPs continue in effect and remain operational. In 1988, Panamanian legislation adopted a concession framework that enables the government to grant private companies the right to develop projects for public use such as highway and toll road infrastructure and any other type of project chosen by the Executive Branch. In addition, the government may grant concessions to private investors to use and develop government-owned land, islands and coasts in tourism projects, for up to 100 years. PPPs are connected to concessions that limit the scope of the operation to a specific term, geographic area or purpose. The concession framework currently in effect and discussed in the preceding section is available only for highway infrastructure, port and tourism development projects. Petroterminal de Panamá SA, a crude oil handling and storage facility, with a 131km pipeline running from the Pacific Ocean to the Atlantic Ocean. Since 2013, the economy of Panama has experienced positive results, and in 2017, the economy continued on a positive note. Panama’s economy has been positively impacted by major infrastructure development and projects focused on the following priority areas: logistics, and port development; road expansion and construction; and financial services. construction of a fourth bridge over the canal. From a regulatory perspective, since January 2017, Panama has a new bankruptcy law that allows the reorganisation of companies facing financial problems.